When I was at college in the UK doing my 3 years of beauty training, the practical lessons in make up application were everyone's favourite. It was instilled into us to always buy the best make up brushes that you can afford at the time, as they are your tools of your trade.Back in the day synthetic bristle brushes were overlooked in preference to natural bristle brushes, but how the times have changed. The main switch from natural to synthetic has arisen due to the animal cruelty concerns and the advances in the technology of man made bristles.Today we have a wider variety of brushes both natural and synthetic in every shape and size, to do every make up application possible. 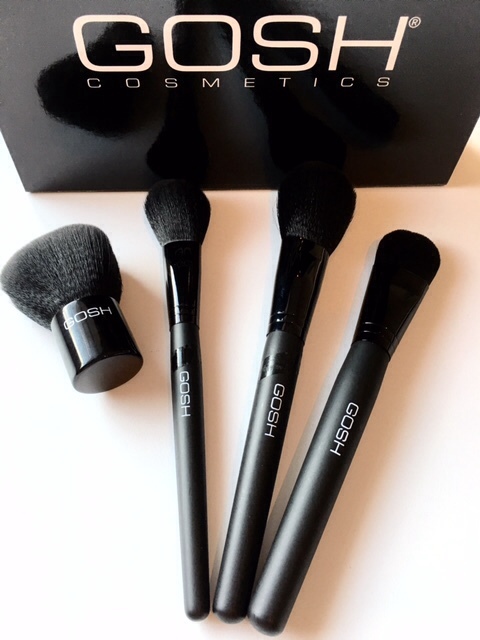 These makeup brushes from the Danish brand GOSHCOPENHAGEN couldn't have arrived at a better time, as my current ones have seen better application days. 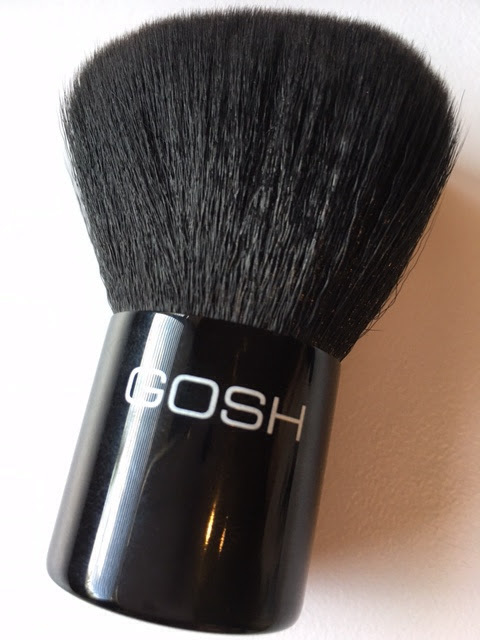 GOSHCOPEHAGEN have introduce a new line of brushes that are now composed of 100% synthetic and man-made hair. I have always invested in quality make up brushes, so when I felt the softness and the quality of these long handled birch wood beauties I was immediately impressed. They also passed my initial "bristle pull" test with flying colours (no bristles came out), but the true test would be in the pick up of the colour on the brush, the ease of application, along with the comfort in the hand. 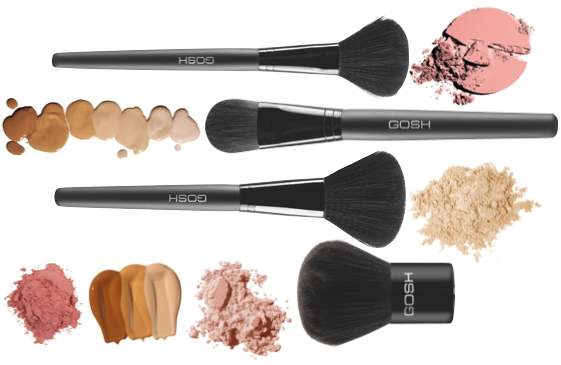 The only brush that I haven't yet put to the test has been the foundation brush, but the other three brushes have been an absolute pleasure to use, as they not only feel incredibly soft on the skin, but the colour pick up is good and importantly for me they are well balanced and comfortable in my hand all making for an easy application. All this comes at very reasonable price points considering the quality, so if you are in the market for a new brush or 4 then I suggest you check out these out. My favourite has to be the multi purpose Kabuki brush, as I have been using one for many years and this has very easily replaced my trusted and faithful old Kabuki. non -detergent soap and then let them dry naturally. I haven't yet cleaned my brushes and that will be the next test, but I have a feeling that there will be no problems, I will however give you feedback. Available from selected Edgars countrywide. So I thought I would write a post on some of the products that have been disappointing. As with all of the posts that I put onto my blog the opinions are 100% my own and I totally understand that my views and experiences may differ from yours and that is what is so wonderful about the ever changing "world of beauty" we can all have differing opinions. Some products we will love and some we just won't enjoy or our skin won't agree with, fast forward and products get re formulated and Hey Voila...with a second try we can fall in love with the once enemy. These two mascara's were purchased out of desperation, as we went away sometime last year and I forgot to pack my usual tried n trusted mascaras. 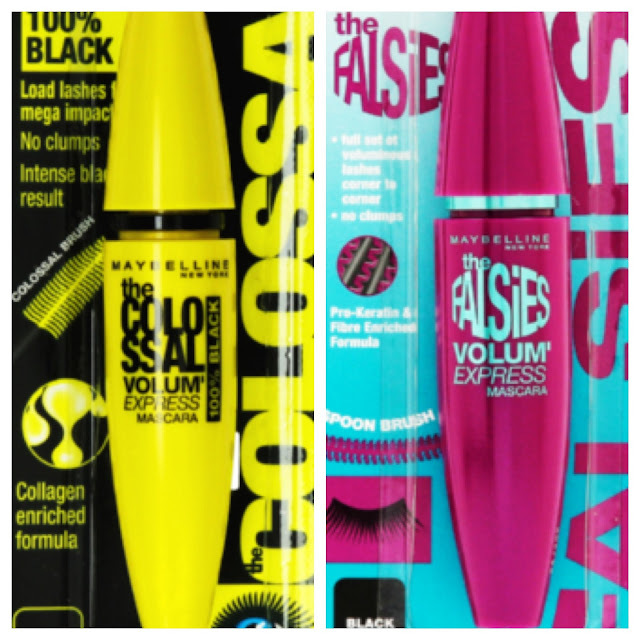 Many many years ago I remember trying a MAYBELLINE mascara and it was one of those products that didn't agree with me, as it made my eyes itch, so that experience has meant that I have shied away from this brand for all these years. 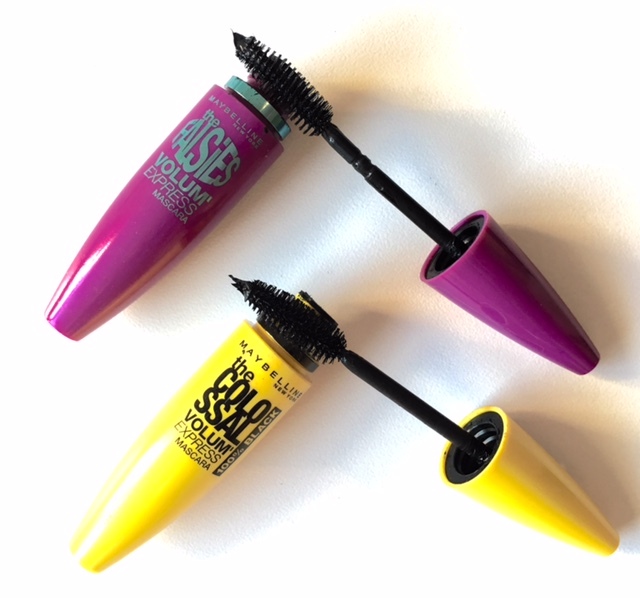 I'm aware this very popular brand is perhaps best known for their enormous range of mascaras. For me a mascara wand must feel comfortable in my hand and unfortunately the packaging of both of these mascara's were chunky and I didn't feel comfortable when applying. 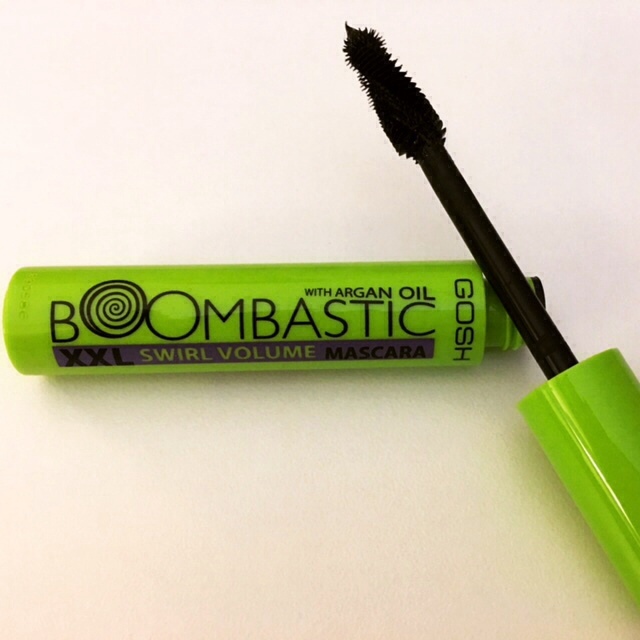 My next issue, I found both mascaras had a very wet formula, which I normally enjoy, but for some reason this just resulted in plenty of clean ups after application, as it tended to smudge and leave splodges around my the lash area. For me they didn't really live up to what they claim on the packaging, as is often the case with many mascara marketing claims. Unfortunately there was no "Hey Voila" moment as mentioned in my intro and I doubt I will ever return to try another MAYBELLINE mascara. 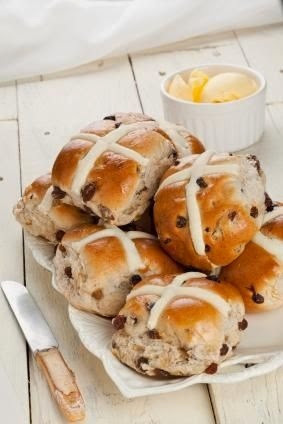 It is traditional to eat warm 'hot cross buns' on Good Friday. Hot Cross Buns with their combination of spicy, sweet and fruity flavours have long been an Easter tradition. Why do we eat Hot Cross Buns ? The pastry cross on top of the buns symbolises and reminds Christians of the cross that Jesus was killed on. The buns were traditionally eaten at breakfast time, hot from the oven. They were once sold by street vendors who sang a little song about them. Cleansers and toners in my opinion are products where you can save money if your budget is taking some strain.You can always "down spend" on cleansing products to enable you to "up spend" on the more important serums and treatment creams. After saying this, if you are a customer of the Swiss brand La Prairie then you are not too worried about saving money on your cleansers and toners. I do know this brand well and have used many of their face and body care products and despite its pricing, some of my all time favourite products come from La Prairie and I love all aspects of the brand. The Cellular Cleansing Water is a One-Step Cleansing product for the Eyes and Face. 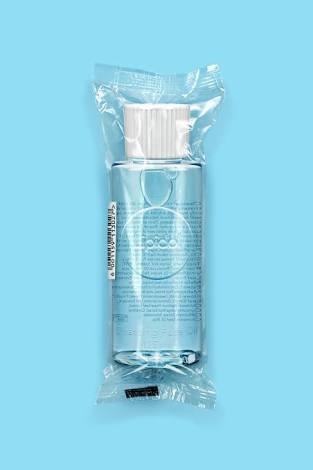 With all the hype centred recently around Micellar waters, we have overlooked that these types of "one product does it all" are actually nothing new. "Our cleansers and toners will elevate your skincare regimen from ordinary to extraordinary"
So how did it perform.. I found this refreshing tonic to easily and gently sweep away my make-up and impurities without leaving my skin feeling stripped of moisture. It also removed my eye make up with the same ease. In addition to its excellent cleansing properties, I found that upon application the cleansing water felt noticeably soft and gentle on the skin, which I have rarely felt with a cleansing water or toner before and without a doubt it had a luxurious feel. Now.. 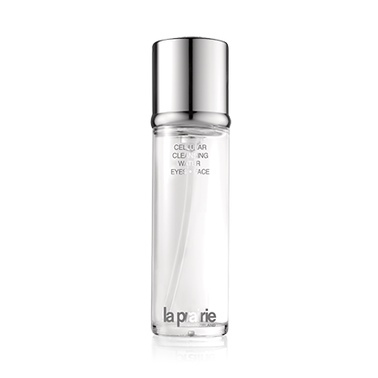 I know the price of the La Prairie Cellular Cleansing Water for Eyes & Face comes with a hefty price label of R1,500 for 150mls, but as I said earlier if you are in the "La Prairie league" then you are not going to mix brands or look to save money and as I have witnessed on many occasions.. a La Prairie customer is generally is very loyal, is serious about skincare and above all is a happy and contented LP follower. I know many of you, like Moi, are not too comfortable with using oil based products. Despite this recent trend in both skincare, bodycare and haircare, these types of products are here to stay and are becoming increasingly popular. The use of oils is nothing new and thanks to the help of research and technology we can now dispel the old myth that oils can only be used on very dry skin and need to be avoided by combination or oily skins. 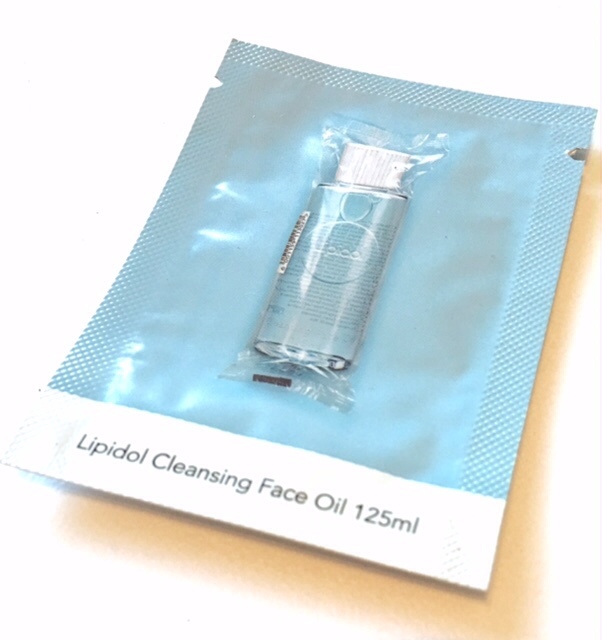 Last week I lifted out from my Sunday Sample jar a sachet sample of a Lipidol Cleansing Face Oil. This no frills, simply packaged and affordable brand was launched in South Africa by Union Swiss, the makers of Bio-Oil and their range consists of 6 oil based skincare products. The Lipidol range is exclusively sold through Clicks. This cleansing oil claims to remove dirt and make-up without stripping the skin's natural oily layer. You apply to a dry face and massage, so that the dirt and make-up will bind with the oil. Then add a little water and continue massaging. The oil emulsifies to form a watery cream and then you just rinse off. Despite making fun of the minuscule sample I would have been able to squeeze out enough for two applications, the first dose I used to cleanse my "make up free" skin and the second was going to be used to remove a full face of make up. My initial dislike of this product was the aroma and whilst it's subtly fragranced with Rosemary (which I normally like) and Niaouli essential oils, I personally didn't like the smell, so we were not off to a good start and unfortunately it didn't get any better. The texture of the oiI felt really heavy and unrefined, which was rather surprising, as similar products that I have tried previously have felt lighter and more refined, but I must say they have been high end products and this is the first budget product of this type that I have tried. Not a lover of using oils around the eye area, I thankfully avoided that area. Whilst it rinsed off easily and left my skin feeling free from any oil, it wasn't 5 minutes before my skin started to itch and feel uncomfortable. This was a new sensation for me, as I do not have a sensitive skin and never have had. I can only think that my skin does not react well to budget skin care, as I have always been in a fortunate position to have worked for some of the best skincare houses in the world enabling my skin care regime to be the best it can be. So I have decided that I really cannot risk using "cheap" skincare products that can upset the balance of my skin, so if it means I am a skincare "snob" then so be it. So unfortunately this weeks Sunday Sample review has been a #fail for me and as you can imagine the Lipidol Cleansing Face Oil didn't get a chance to cleanse my face a second time. Interestingly they claim that the product is suitable for sensitive skin and is non-comedogenic. "Take it Home, Make it Home"
and I could have very easily taken many of the beautiful items home and I can assure you, they would've all helped to make my abode even more of a home, but alas it wasn't to be. 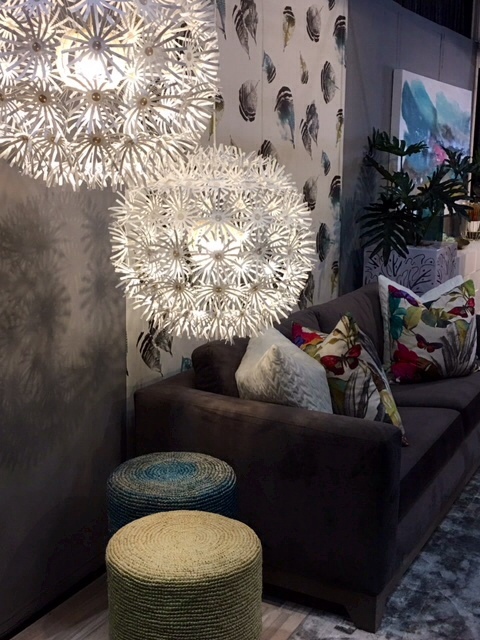 However If you are looking for a multitude of decor ideas, whether it be soft furnishings, outdoor living or the latest Pantone trends then Decorex is well worth a visit. 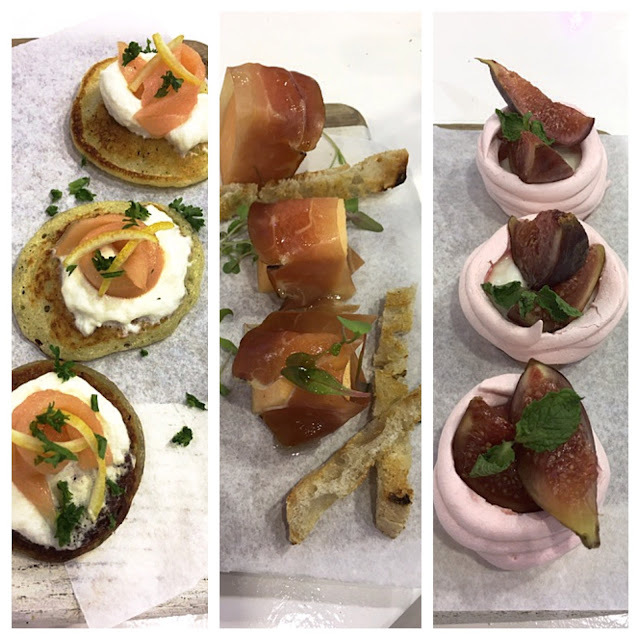 A stop off for some food and drink is a must and the Bubbly Bar can be a little haven to rest your feet whilst sipping on champagne and indulging in a selection of Trio food Platters. 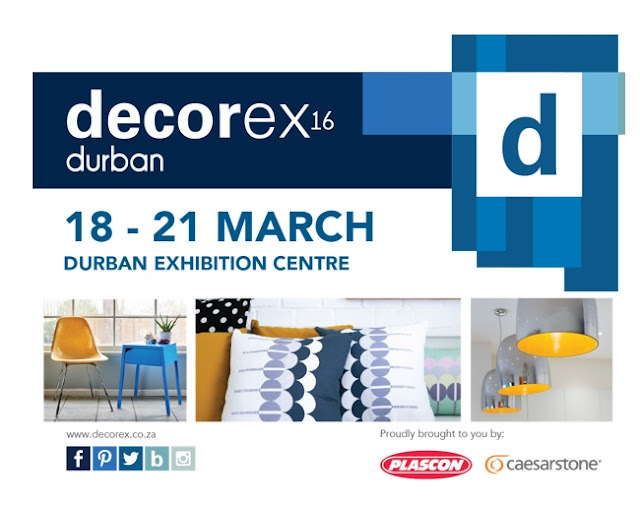 Decorex runs for 4 days at the Durban Exhibition Centre. I realised over the weekend that I have neglected to randomly pick out of my ever overflowing sample jar, any samples to reveiw for you on a Sunday. I lifted out a sachet sample of a Lipidol Cleansing Face Oil. This no frills, simply packaged and affordable brand was launched in South Africa by Union Swiss, the makers of Bio-Oil and their range consists of 6 oil based skincare products. No doubt this sample will only allow for one cleanse and I will post my review on Sunday, so don't forget to check back and read what my thoughts were. Yes.. the gold foil LINDT chocolate bunnies are out in force and I for one don't mind, in fact I find they put a smile on my face and make me feel warm and chocolatey fuzzy inside. Who doesn't "Love" a little Lindt, well in my case I "Love" a lot. The smooth creamy chocolate is lovingly moulded into the shape of this now iconic bunny, has been around since 1952 and he can always be found thanks to its little gold bell. The LINDT Chocolate Boutique opened in the Gateway shopping centre near Durban this past November To read my review and I'm sure it's the breeding ground HQ for KZN, as there are hundreds of these gold foil delicious beauties all over the shop. This is the sweetest time of the year and The LINDT Master Chocolatiers have organized some wonderful children's activities around the county. 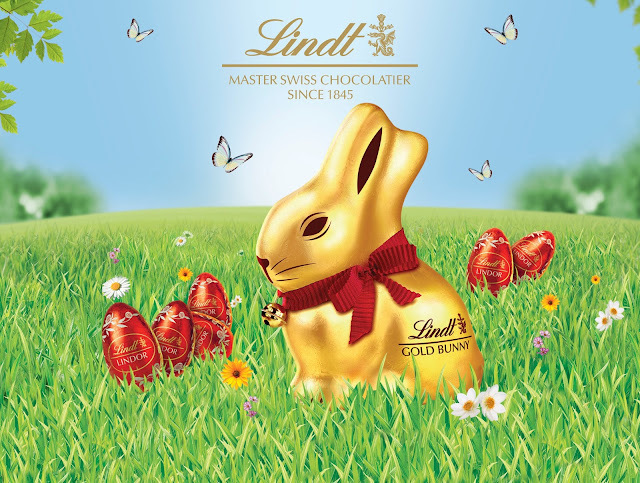 The LINDT GOLD BUNNY Gardens make their way to all three major cities over the holiday period. These enchanting gardens will play host to a series of Easter hunts, during which children will be able to fill their baskets with delicious LINDT treats.Entry to the garden is free of charge and hunts take place twice per hour. 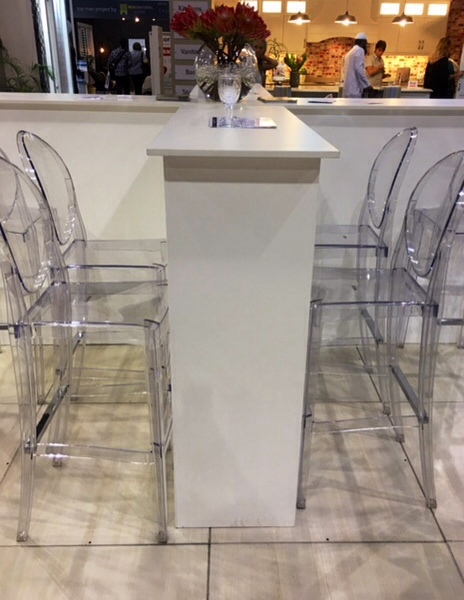 · Johannesburg: Mr Price 2 Court, Sandton City, Sandton. 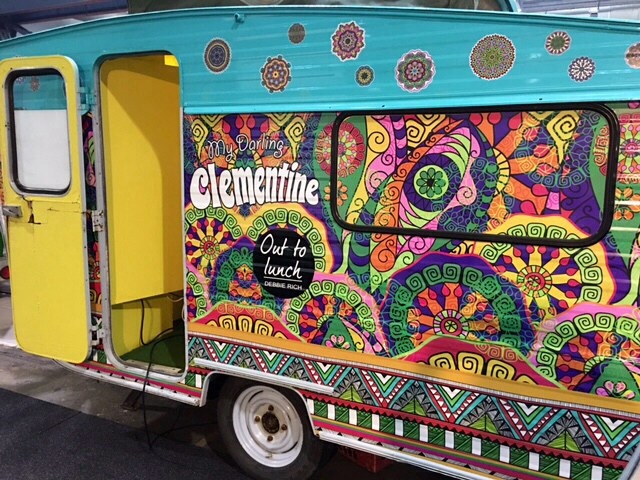 · Durban: Garden Court, Gateway Theatre of Shopping, Umhlanga. 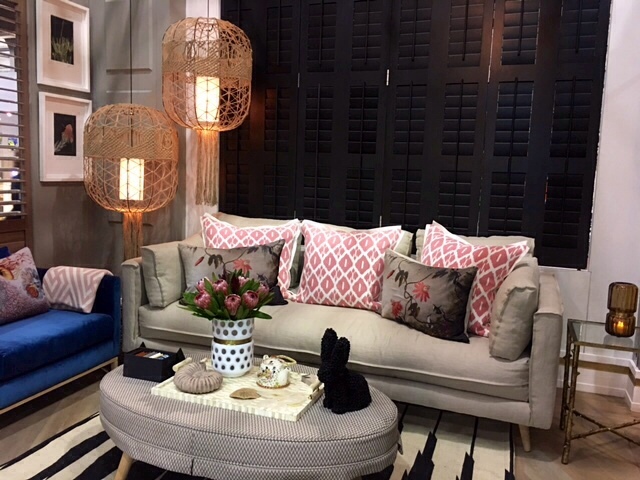 KwaZulu-Natal’s leading décor, design and lifestyle exhibition once again promises to be the destination of choice for those committed on turning house into home. Now I have been to this showcase of all things "Home" for the past couple of years and unlike some exhibitions that seem to be a repeat of the "same old, same old" I really don't find this to be the case with Decorex, obviously the main sponsors re appear, but generally speaking I find that there are plenty of new and interesting exhibits to keep me going back. 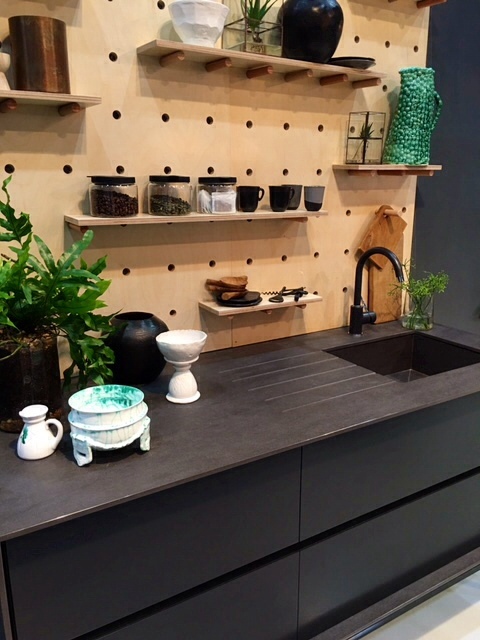 In keeping with its new theme, ‘Take it Home, Make it Home’, the Durban exhibition promises visitors infinite takeaway ideas and inspiration for their interior and exterior spaces. 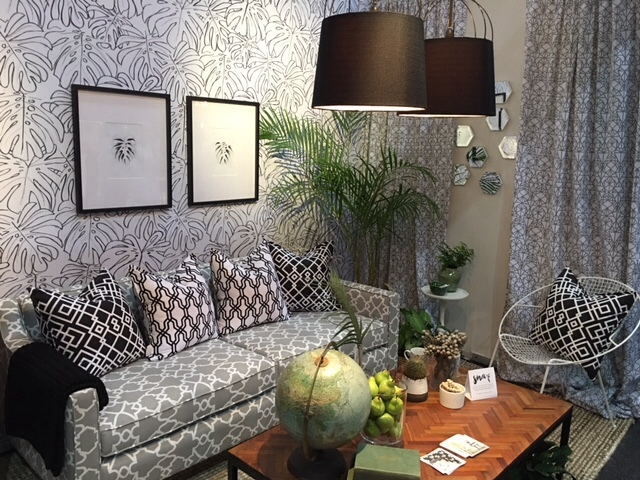 Covering every aspect of your home and offering the ultimate shopping experience, this year’s theme taps into the very latest global design and décor trends, among these, a fresh focus on the quality, detail, layering and timelessness of the “Considered Home”. A pop-up market, hosted by I Heart Market, promises to delight the senses of all shoppers, running from 10am – 4pm on Saturday only. 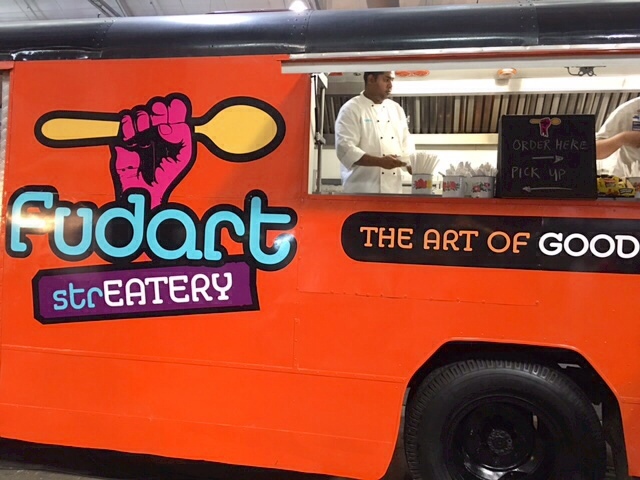 Foodies, too, will get their fill of the fun with delicious culinary experiences and endless dining options, from casual cafés and full-service restaurants to the perennially popular gourmet market. If you have a Twitter account then why not pop over to @beautyshoutbox to enter my Givaway. You could win a set of 2 tickets to visit this event on the opening day 18th March. Entries close on Thursday 10th March 5pm and the 5 lucky winners will be announced on Twitter. Unfortunately this giveaway is only open to those living in KZN. If you have been considering buying a new eyeshadow palette then now could just be the right time to check out these beautiful palettes from Stila and Smashbox, as they are currently on a discount promotion from Woolworths when ordered online. The prices below are the normal rsp, so don't forget to deduct the discount. There are 3 palette shades to chose from, but I really like the 12 colours in this "Mind" palette, which are luxurious and can be used to create a look for every occasion. 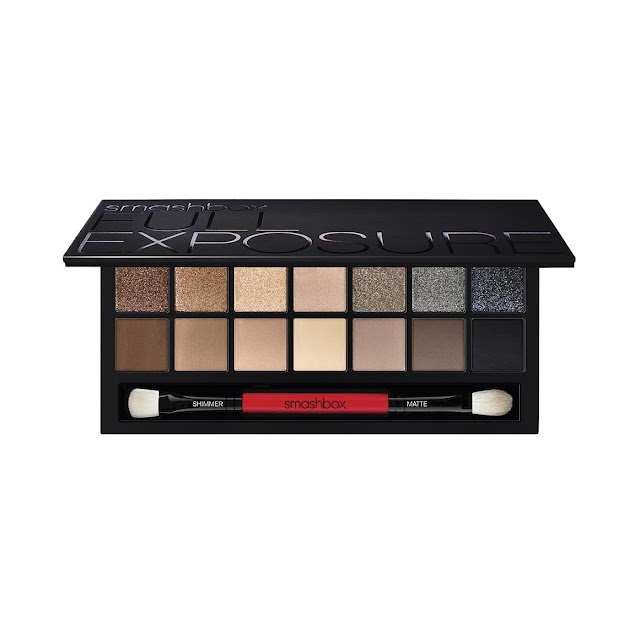 If you are looking for a trio of complimentary shades then consider this from Smashbox. 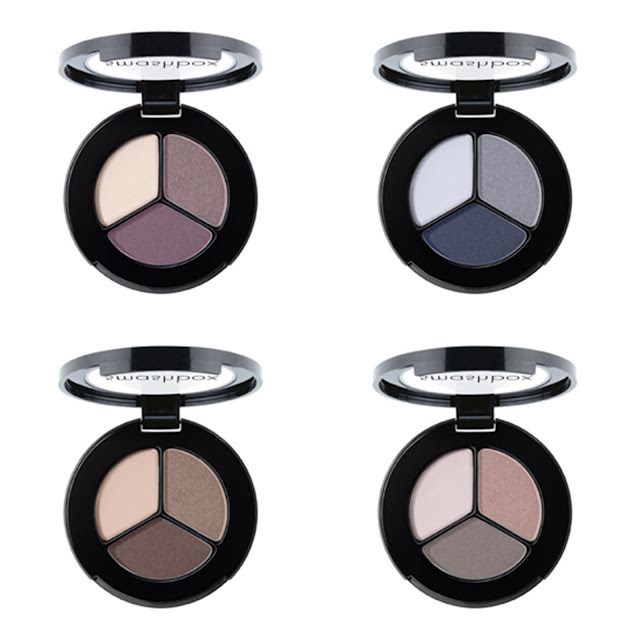 This eye shadow trio comes with a base, and a contouring and highlighting shade for mistake-proof application. They have 8 to choose from and here are some of my "faves". 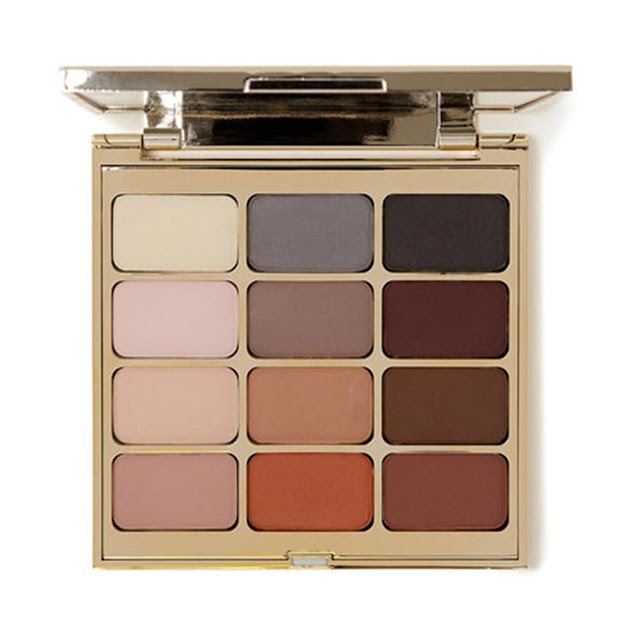 If you are looking for a larger palette, then this set of 14 universal neutral shades: from nudes to blacks, long-wearing shimmers, to velvety-smooth mattes, could be just your everything palette. 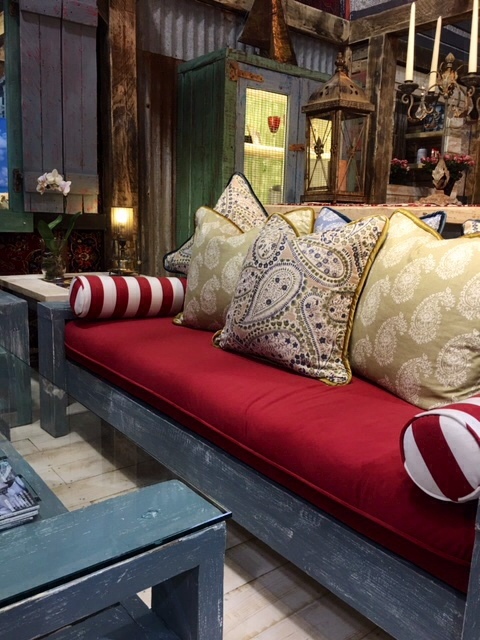 my "Faves" of 2015 and if you missed them, then just click on the links below to catch up. Here are my combined "faves" of the past two months. 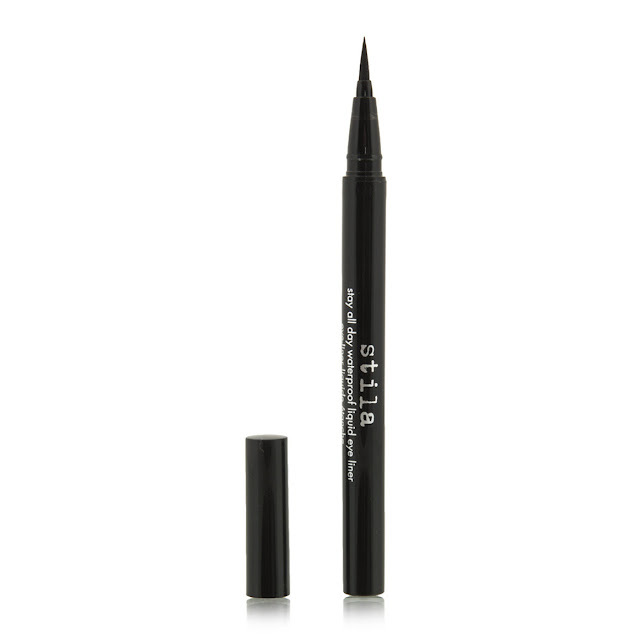 I have been using my Stila All Day Waterproof Liquid Eyeliner for a few months now, but I only managed to write and post my review in February. 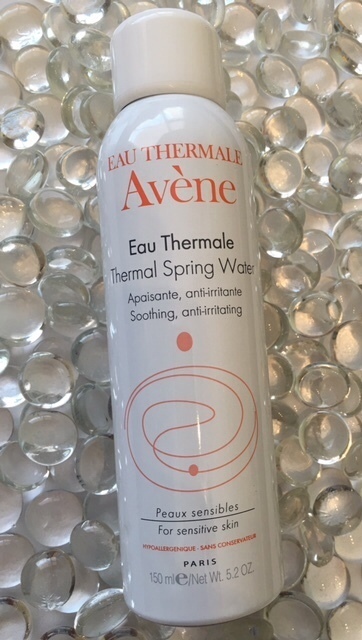 The Avene EauThermale Spring Water Spray has become a part of my daily beauty regime and my can is nearly finished, so another purchase is on the cards soon. 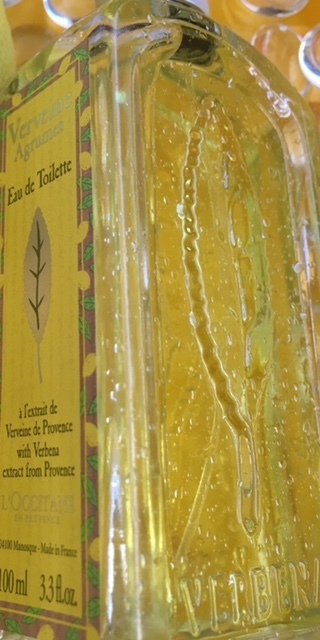 The L'Occitane Citrus Verbena Edt has been my everyday fragrance for Summer 2015/2016 and I get so many lovely comments about my fragrance, literally on a daily basis, which is always a good sign. -wear it all year round. I'm not a lover of cleansing wipes, but I am a lover of Garnier cleansing products, so I decided to give these wipes a chance to convince and possibly even convert me. The concept of a convenient pack of cleanser impregnated wipes does appeal to me, but unfortunately the ones that I have previously tried, really didn't deliver on a good cleanse and in some cases left my skin feeling "tacky". I have been using the Garnier Softening Cleansing Milk, Softening Toner and the Micellar water, all for normal to dry skin, for sometime now, as they all offer good results for exceptional value. The slightly rose fragranced quilted wipes are impregnated with 2 doses of cleansing milk and when I flipped over the wipe I found it enough to do my usual double cleanse. These wipes can be used all over the face, neck and the eye area. I was impressed with the ease and efficiency of the cleanse that the wipe gave my skin and more importantly there was no sticky residue left behind. 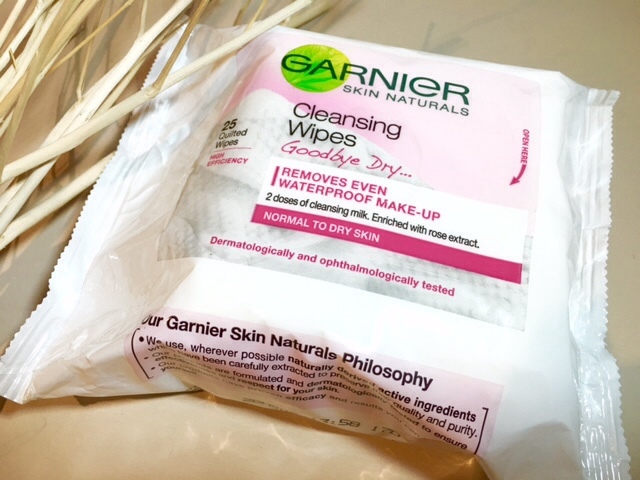 I can believe that these wipes would make easy work of removing waterproof makeup without any harsh rubbing. I also enjoyed the softness of the wipe, which is enriched with soothing Rose and Vitamin E extracts, which also helps leave you skin feeling incredibly soft and comforted after use. The Garnier Cleansing Wipes come in a handy pack of 25 and are Dermatologically and Opthalmologically tested and retail for approx R32. Whilst I will still continue to use the Softening Cleansing Milk daily, I will, without hesitation, use the wipes for travel and always have a pack close at hand for emergencies or just for those lazy days. 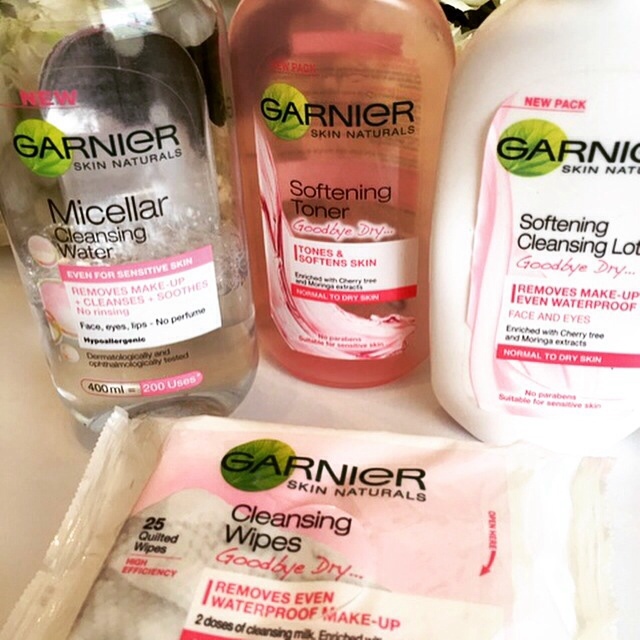 There is no doubt that these wipes deliver on all that they claim and I have to admit I have turned a full 360 degrees on my view of cleansing wipes, (not just any wipes only the Garnier) so Garnier you have both convinced and converted me!